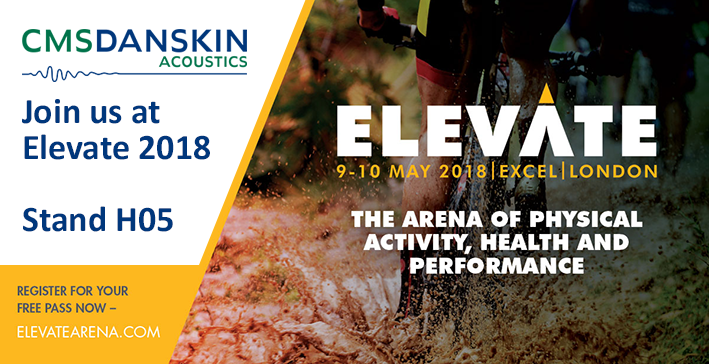 CMS Danskin Acoustics – Sports Flooring Division will be exhibiting at this year’s Elevate exhibition. From the 8-10th May 2018 at Excel, London, the team will be on hand to assist with any sports or gym flooring enquiries. View our range of sports flooring solutions here.